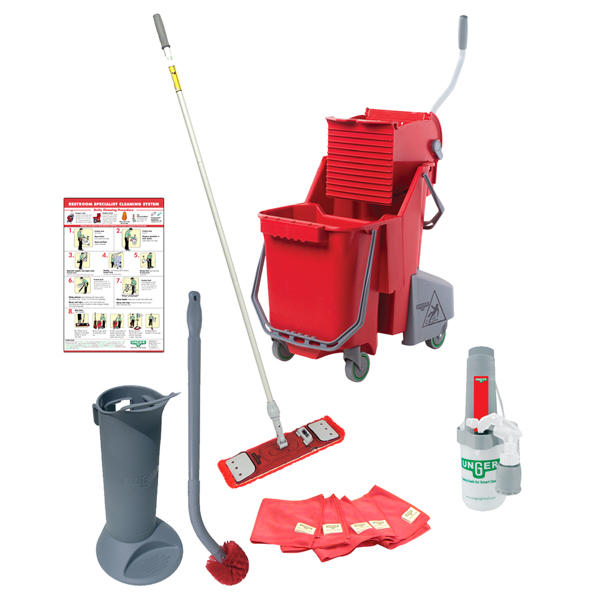 These simple, complete packages contain everything you need to clean like a pro. 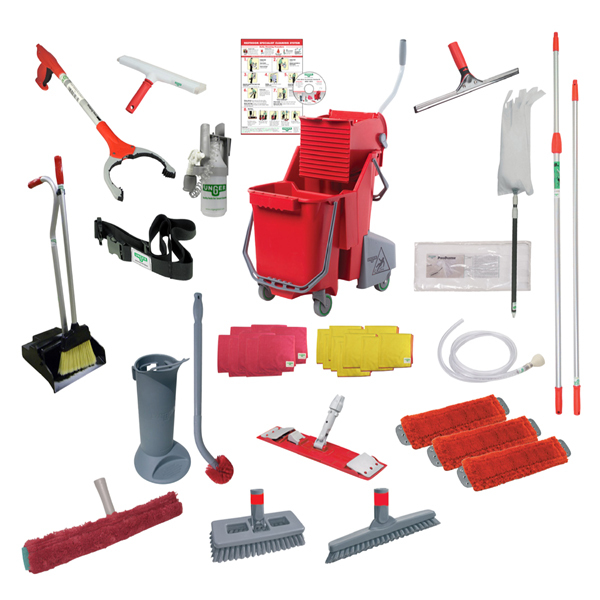 Cleaning kits include red, color-coded tools to keep your bathroom cleaning supplies clearly distinguished from other tools. 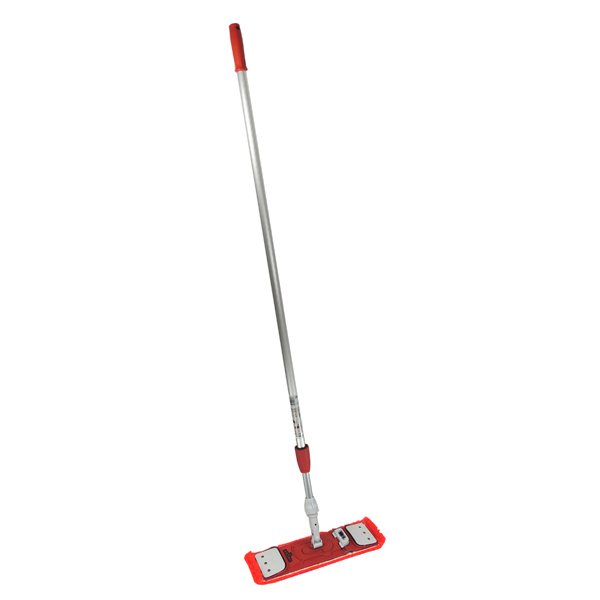 You'll find purpose-built, ergonomic tools in streamlined storage systems. Simplify training and keep the risk of cross-contamination to a minimum with these kits. 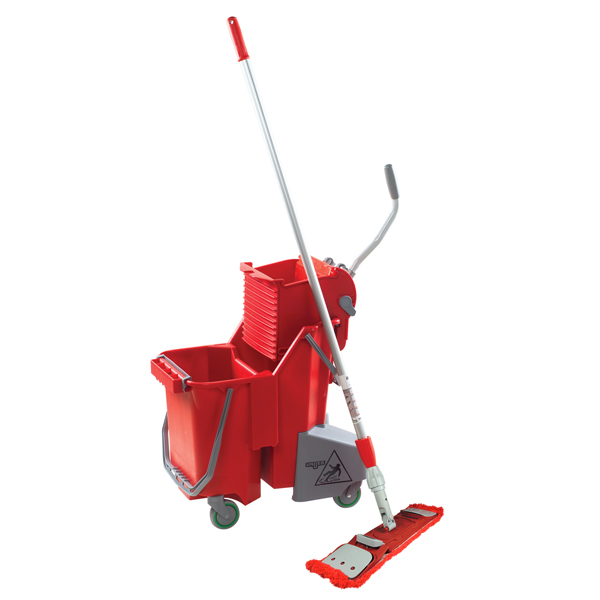 Help your custodians work faster, safer, and better than ever before!